“More than 80 percent of American adults think that music improves children’s grades or intelligence,” said Samuel Mehr, a Harvard Graduate School of Education doctoral student working in the lab of Elizabeth Spelke. 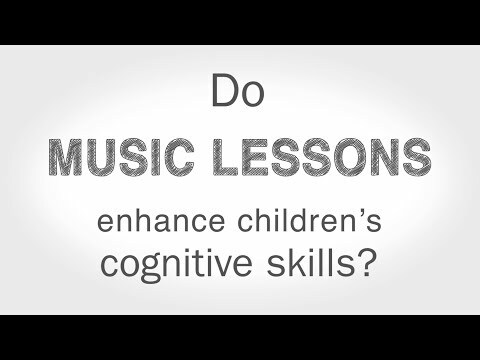 Instead, Mehr found that music training had no effect on the cognitive abilities of young children. Children get plenty of benefits from music lessons. Learning to play instruments can fuel their creativity, and practicing can teach much-needed focus and discipline. And the payoff, whether in learning a new song or just mastering a chord, often boosts self-esteem. But Harvard researchers now say that one oft-cited benefit — that studying music improves intelligence — is a myth. Though dozens of studies have explored whether and how music and cognitive skills might be connected, when Mehr and colleagues reviewed the literature they found only five studies that used randomized trials, the gold standard for determining causal effects of educational interventions on child development. Of the five, only one showed an unambiguously positive effect, and it was so small — just a 2.7 point increase in IQ after a year of music lessons — that it was barely enough to be statistically significant. “The experimental work on this question is very much in its infancy, but the few published studies on the topic show little evidence for ‘music makes you smarter,’” Mehr said. Among the key changes Mehr and his colleagues made from earlier studies were controlling for the effect of different teachers — Mehr taught both the music and visual arts classes — and using assessment tools designed to test areas of cognition, vocabulary, mathematics, and two spatial tasks. “There’s a compelling case to be made for teaching music that has nothing to do with extrinsic benefits,” he said. “We don’t teach kids Shakespeare because we think it will help them do better on the SATs. We do it because we believe Shakespeare is important. The study was supported by funding from the Dana Foundation, and inspired by the work of William Safire. With some predicting the demise of the smartphone, Professor Woodward Yang spoke to the Gazette about near and far prospects in personal tech.